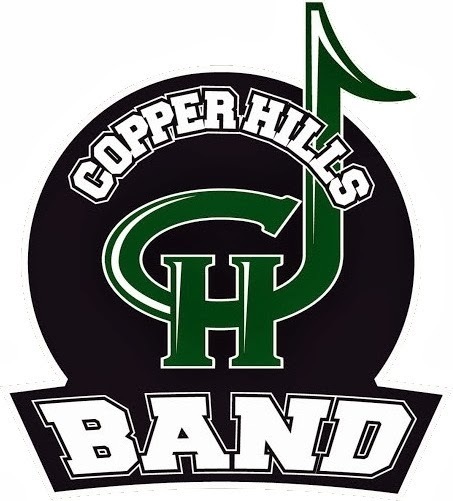 This Blog gives information about the Boosters for the Copper Hills High School Bands in West Jordan, UT. The Band Boosters are an organization of parents working with the band. We are so excited for drum line, percussion, and our upcoming season! This year we are strongly encouraging all percussionists to march and participate in Summer Band, we can work with you no matter how difficult you think your schedule might be. Summer Band is a great way to become united as an ensemble and a section and we want to start the whole 2018-2019 school year off right, by becoming friends and establishing a foundation of our fundamentals. We would like to meet with as many of our percussionists as possible tomorrow at 4:00 pm in the band room. Please spread the word, and don’t stress if you can’t make it. Please email or text Ms. Jessie Whittaker (jestama2@gmail.com 801-592-0637) your name, phone number, and email and also whether or not you will be able to make it to tomorrow’s meeting. We really strived hard to set up this ensemble for success. We tried to make as many people happy as possible, but we also had to make some difficult decisions in where we placed everyone so that we had an even distribution of strong players among our incoming newbies. We believe that with the example set by our returning members we will be able to teach proper technique, rehearsal etiquette, and determination to our new members and work towards growing our program to be the best Copper Hills Can be. Even though the line is set, we would still love to meet anyone new who might be interested in playing, learning, and growing with us. We can always find room for more players.